Until recently, scientists have been limited in their ability to apply new understandings of animal and human motion to machines, according to Tyer Wind. In the wind energy sector, this limitation has resulted in fairly simple and relatively inefficient turbines. Using 3D Aouinian kinematics that he pioneered, Anis Aouini is disrupting that space with a unique wind turbine modeled on articulations of the only bird capable of sustained hovering–the hummingbird. 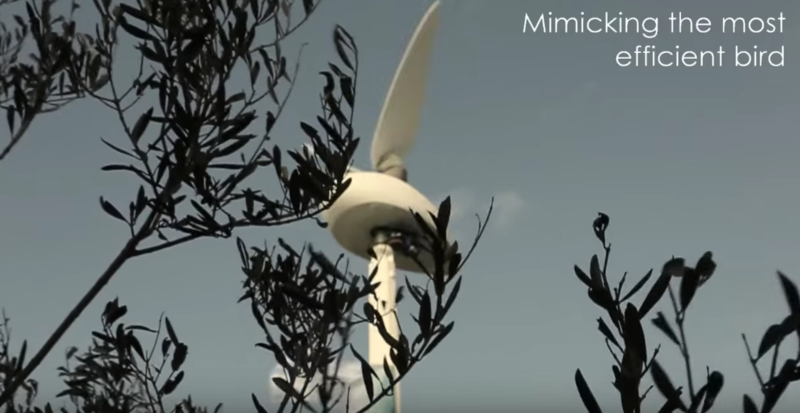 Hassine Labaied, partner and co-founder of Tyer Wind, told Inhabitat this is the first time a mechanical device has successfully mimicked the hummingbird’s motion, and that the video below illustrates a pilot machine currently being tested in Tunisia. Read the full article via Inhabitat.